Plug-ins are a great way to extend the functionality of Photoshop, adding fun filters and fresh features to the application. Although most plug-ins are modestly priced, there are a number of cool plug-ins available completely free. 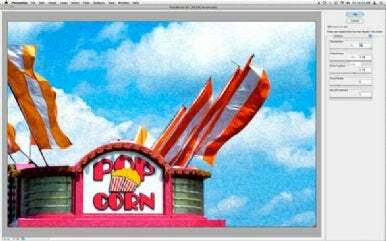 Here’s a round-up of some of the most compelling freeware plug-ins currently available for Photoshop CS3, CS4, and CS5, and, in some cases, Photoshop Elements 8. You can install plug-ins by dragging the plug-in file into the application’s plug-in folder, found at Macintosh HD -> Applications -> Adobe Photoshop -> Plug-ins. Many plug-ins now include their own installer, however, and some newer plug-ins must be installed via the Adobe Extension Manager. Once installed, you can usually find the plug-in under the Filter menu in Photoshop, though some must be accessed through Window -> Extensions. Note that this roundup consists of just six plug-ins. As I researched this article, it quickly became apparent that while there are a wealth of free plug-ins available for Photoshop on Windows, there aren’t many for Photoshop on OS X. Developers say that Adobe’s tools make it cumbersome to port Windows-based plug-ins to OS X, and many of these freeware developers see little value in the effort. 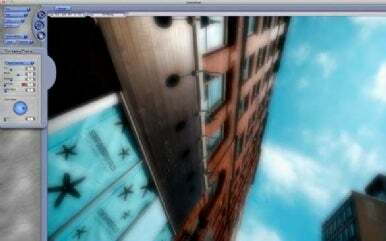 Moreover, Photoshop’s plug-in architecture is constantly evolving, with each new version of the application introducing incompatibilities with older plug-ins. Of the six plug-ins highlighted below, four are effectively marketing tools for paid products from those developers. 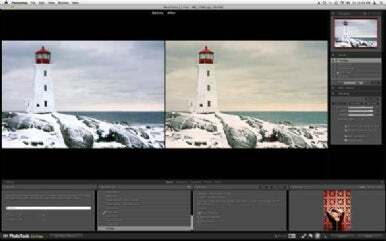 Sebastien Piconnier’s Photoshop Edge FX 2.2 is a fun plug-in for Photoshop CS4 and CS5 that lets you enhance your photos with an arty graphic border. You start by choosing from more than 60 preset borders and then resize and reposition the border; after that, you can go ahead and apply layer styles such as Glow and Drop Shadow. The borders are applied as masks, which preserves your original photo. This plug-in is not compatible with Elements. 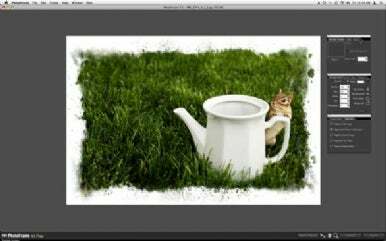 Photoshop Edge FX lets you quickly overlay borders onto your photos. onOne Software’s PhotoTools 2.5.4 Free is a fine collection of photographic filters, including cross-process, cyanotype, sepia toner, and vintage. The plug-in app commands the full screen, placing before and after previews side-by-side so that you can preview the filters as they are applied. Most filters have no options (aside from fade), but they can be combined together to create interesting effects. This plug-in is not compatible with Elements. PhotoTools smartly shows before and after images side-by-side so that you can appreciate your changes, however subtle. Although Dreamsuite’s interface is downright cringe-worthy, Dreamy Photo is a fun filter. Another Dreamsuite plug-in, Mosaic lets you vary the size, shape and even depth of the tiles. onOne Software’s PhotoFrame 4.5.2 Free is a plug-in that lets you apply graphic frames to your photos, such as film reel, Polaroid, and water color. Borders and textures can be combined to create unique effects, and the resulting border is applied as a layer, preserving your original photo. This plug-in is also compatible with Elements. PhotoFrame applies graphic borders to your photos, and gives you control over dozens of details. Adobe’s Pixel Bender is an interesting (and for now, experimental) add-on to Photoshop CS4 and CS5 that uses your computer’s graphics processor to literally bend pixels. The included filters are a bit hit-and-miss, though you’ll certainly be impressed by OilPaint. 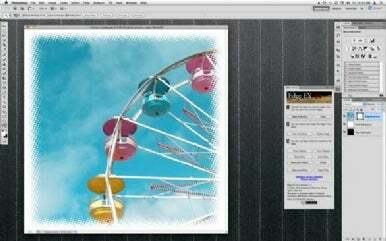 You can download additional Pixel Bender filters from Adobe Exchange. 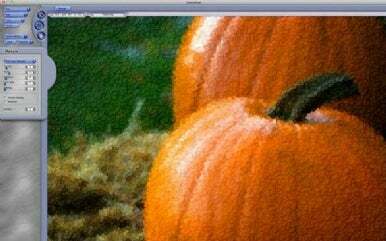 Adobe PixelBender is a little rough around the edges, but filters like OilPaint make it worth the effort. This article was updated to clarify which plug-ins work with both Photoshop and Photoshop Elements.